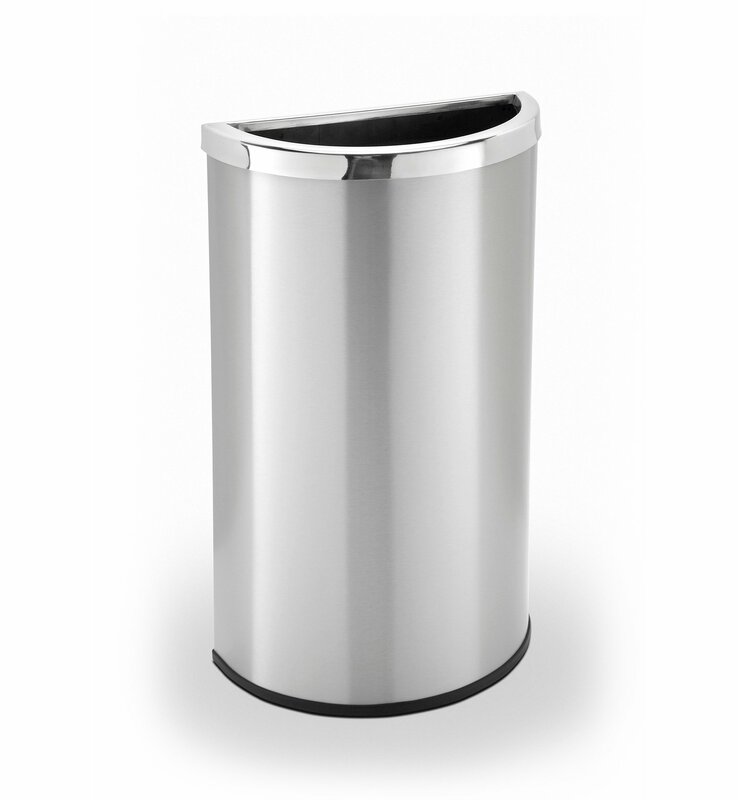 15 Gallon Precision Half Moon Stainless Steel Trash Receptacle - 20 lbs. 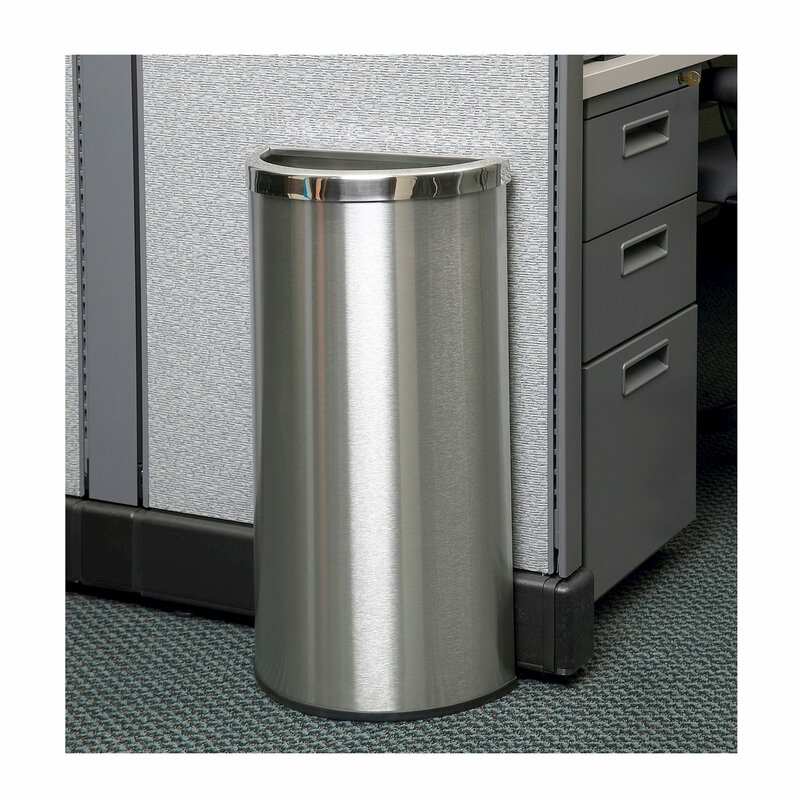 This 15-gallon Precision half moon stainless steel trash receptacle is a perfect indoor space-saving option for offices, bathrooms, and lobbies. Structured with a curved front and a flat back that easily fits against walls, desk, and cabinets with an open top for convenient waste disposal. The low-maintenance hygienic surface is made from recycled heavy-gauge 304-grade stainless steel that will resist rust through many years of service. 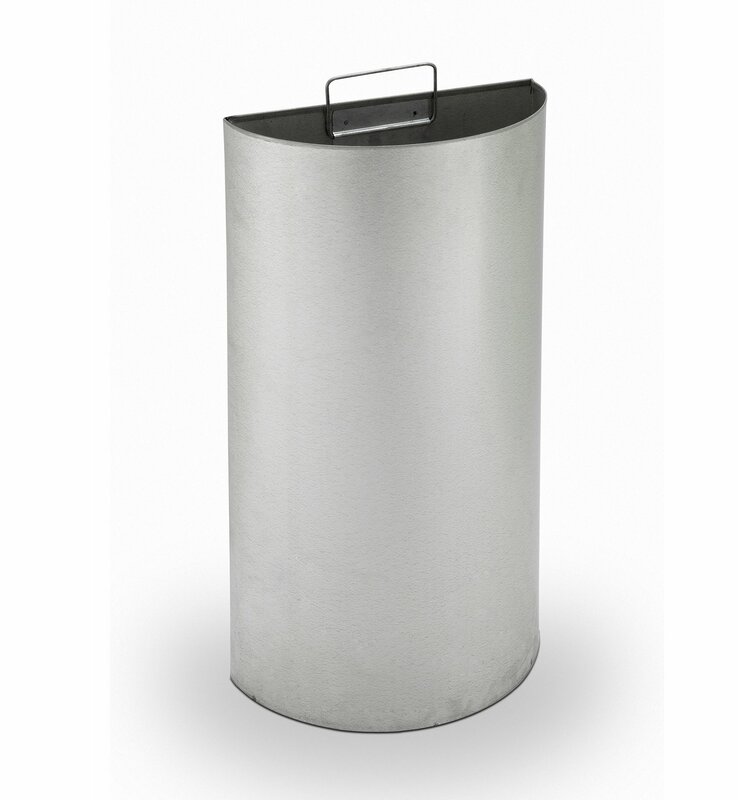 Includes a galvanized liner with a handle that makes trash removal a breeze. Featuring a rubber ring base to prevent the unit from scratching the floor. 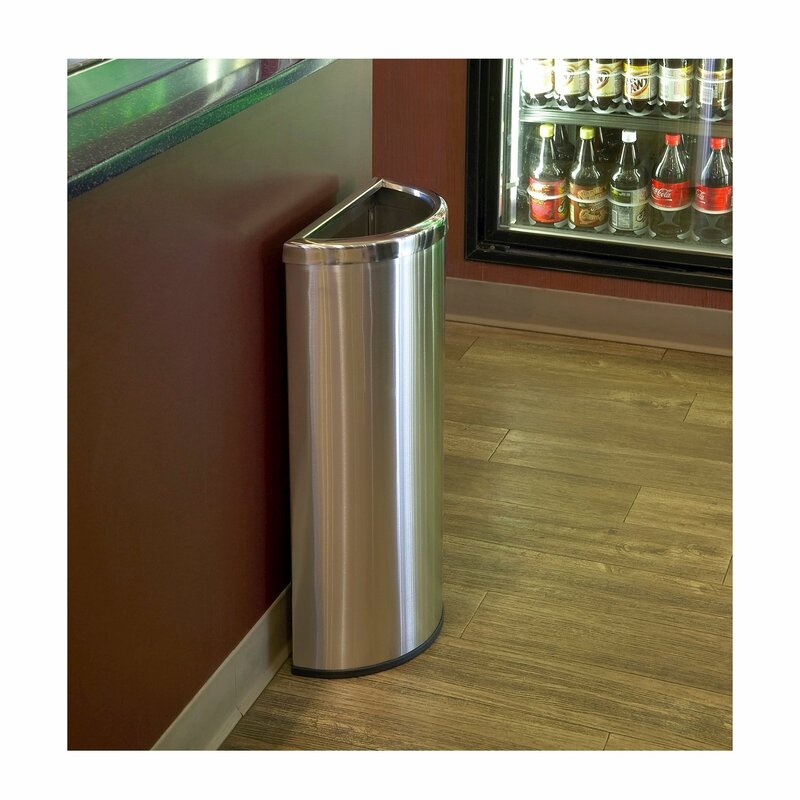 • Dimension: L 9.25" x W 18.25" x H 30"
16" Smokers Outpost Commercial Wall-Mount Aluminum Cigarette Disposal - 4.5 lbs.